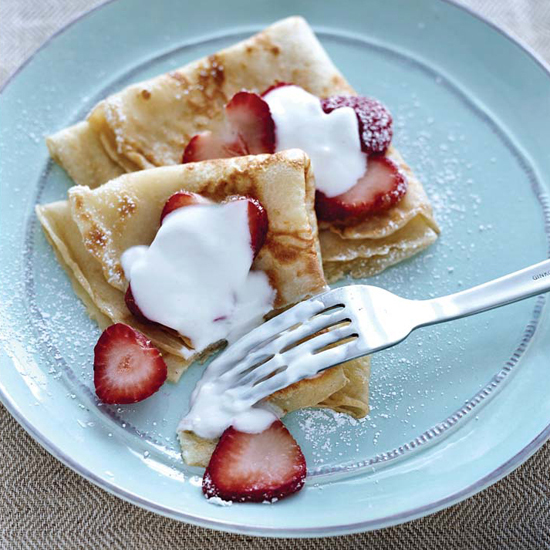 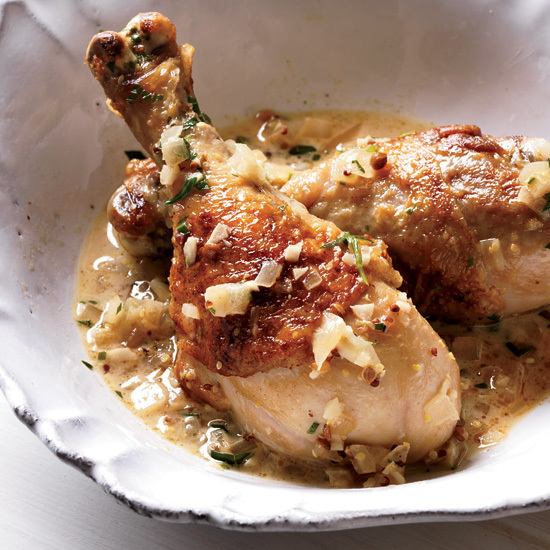 Get your French cooking tools ready and add a soufflé, chicken Dijon, steamed mussels, and more simple French recipes to your dinner rotation. 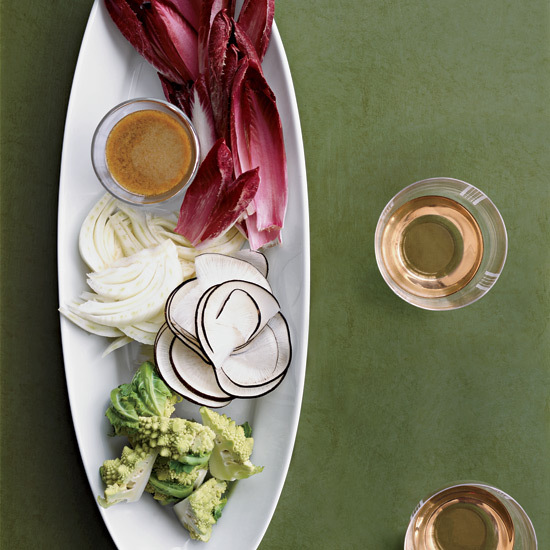 After Bruce Sherman poaches tuna in an exquisite homemade tomato oil, he serves it alongside an array of vegetables and homemade herbed pasta. 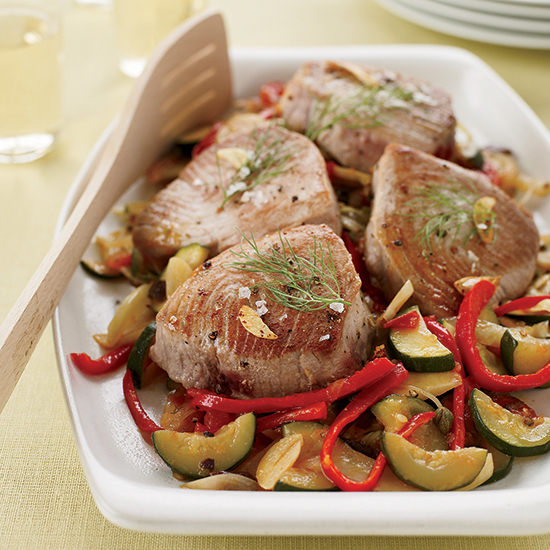 In the easy way, sear the tuna in a garlicky oil, then serve it with sautéed vegetables, omitting the pasta. 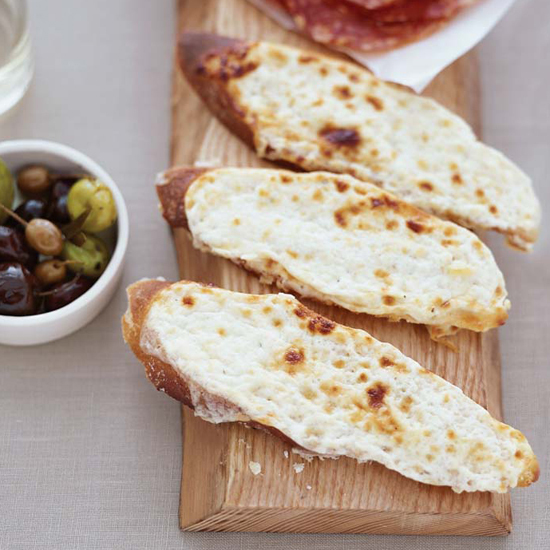 Daniel Boulud makes this oozy appetizer with Vacherin Mont-d'Or, a creamy cheese sold at top cheese shops. 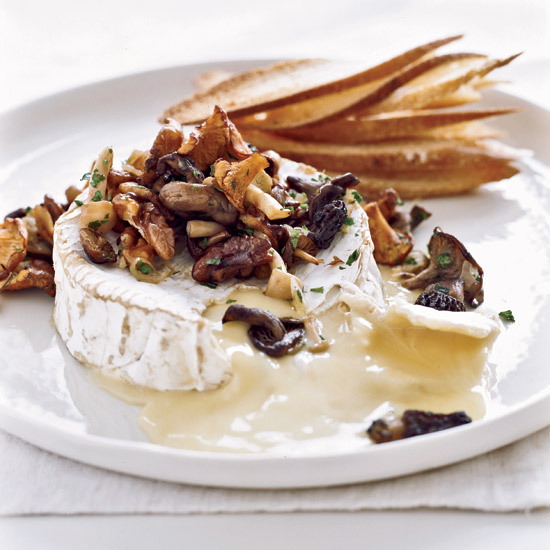 Camembert is as rich and runny as Vacherin Mont-d'Or, but much easier to find. 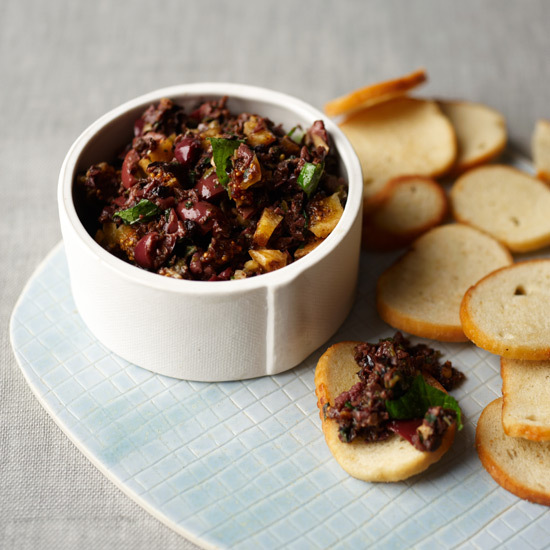 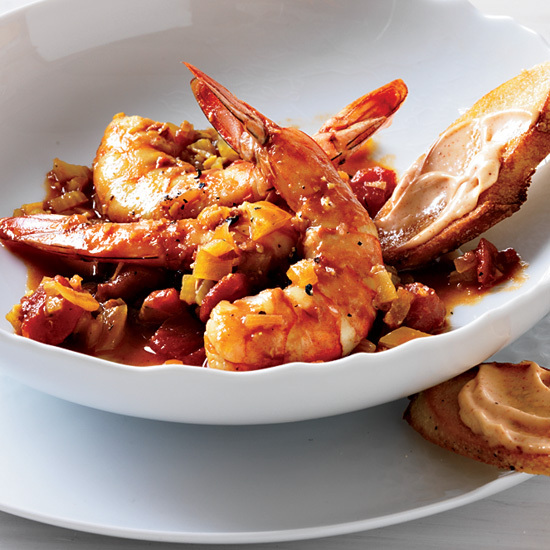 Jacques Pépin adds dried figs to his tapenade, a spread that is often called the "butter of Provence." 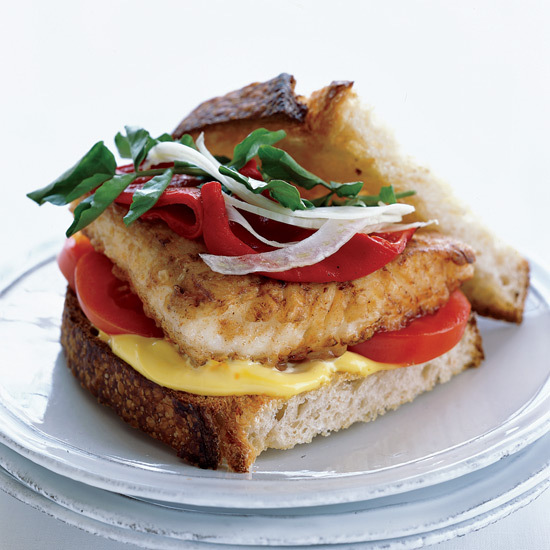 In his reinterpretation of the classic Provençal seafood stew bouillabaisse, Aaron Whitcomb piles seared fish fillets, tangy tomato and shaved fennel on bread slathered with saffron mayonnaise. 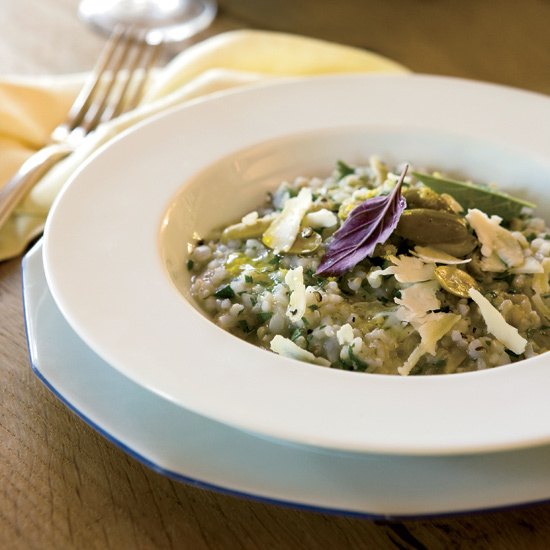 Alain Coumont makes this creamy (yet cream-free) rice dish with lemony Lucques olives and nutty organic Camargue red rice, but almost any green olive or short-grain brown rice would be terrific. 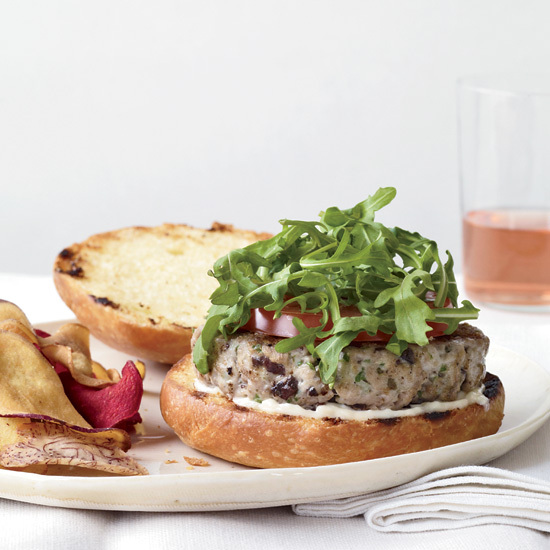 Vegans should leave out the tangy goat cheese shavings. 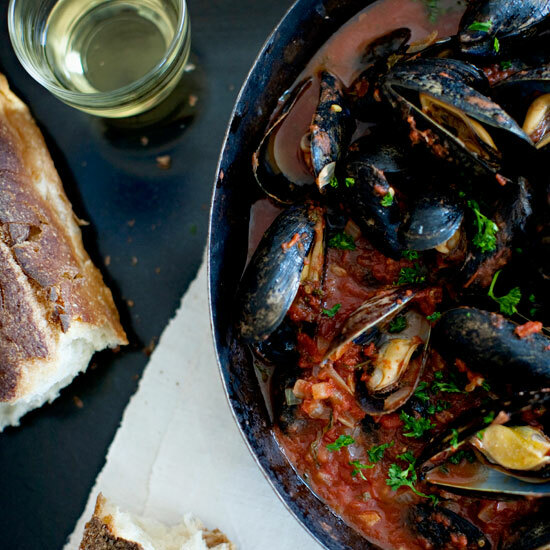 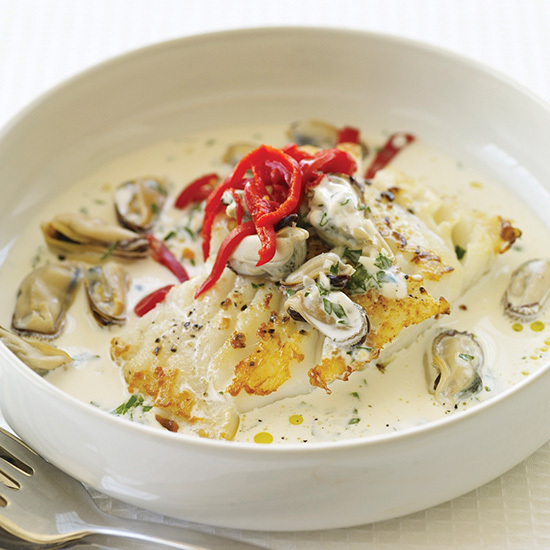 This simple, sophisticated dish relies on store-bought mayonnaise to enrich the sublime garlicky mussel sauce. 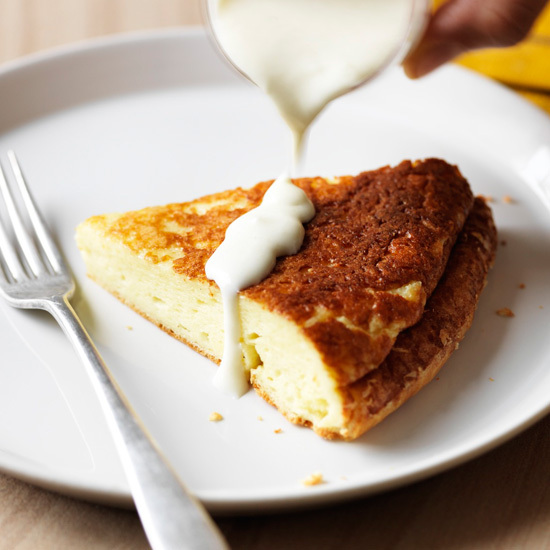 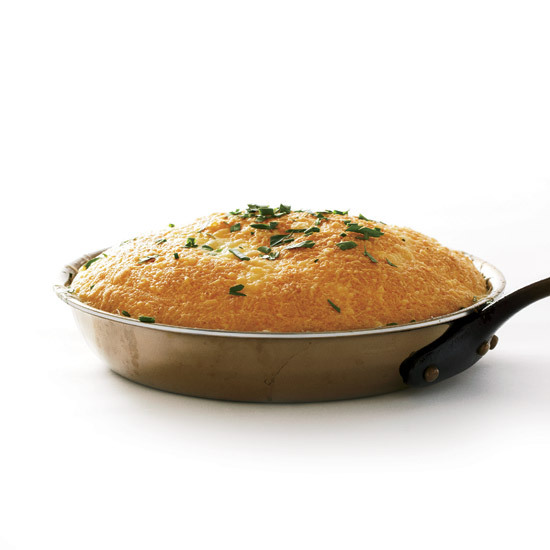 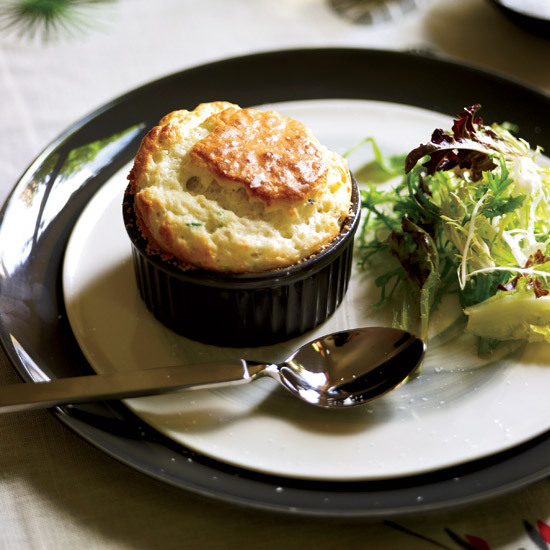 Hearty and filling, this soufflé proves that pastries can be savory as well. 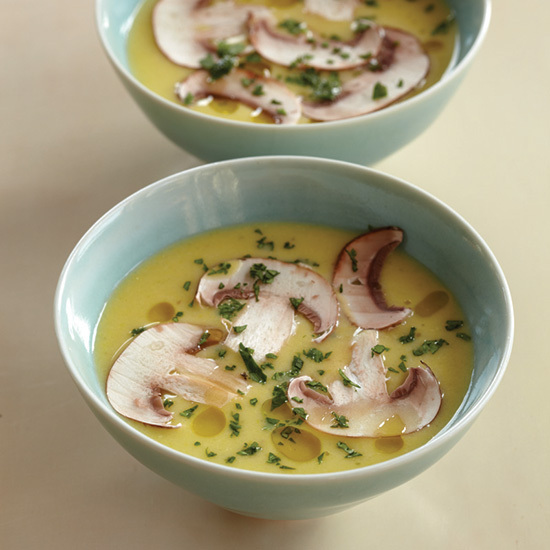 Joseph Humphrey simmers this soup with the corn cobs to deepen the flavor. 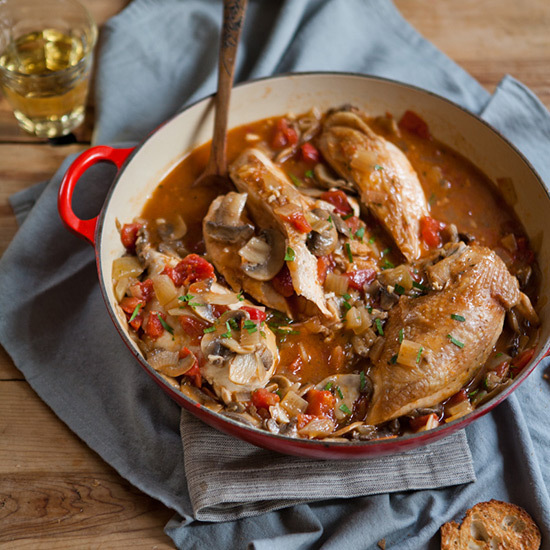 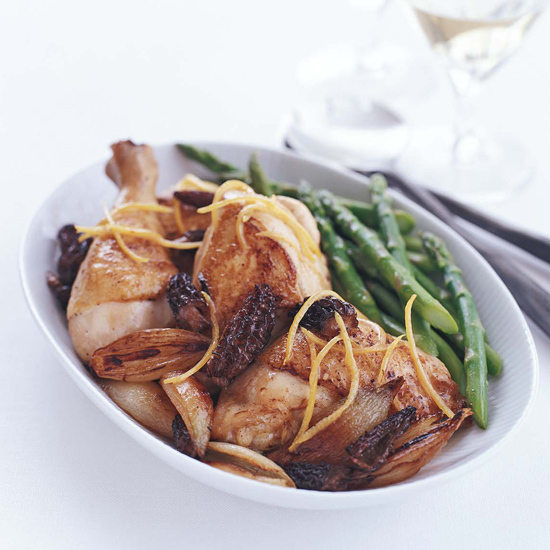 A French classic that never seems to go out of style, this dish combines mushrooms and chicken in a tomato and white-wine sauce.